Cute inside my front door! Nicely made. 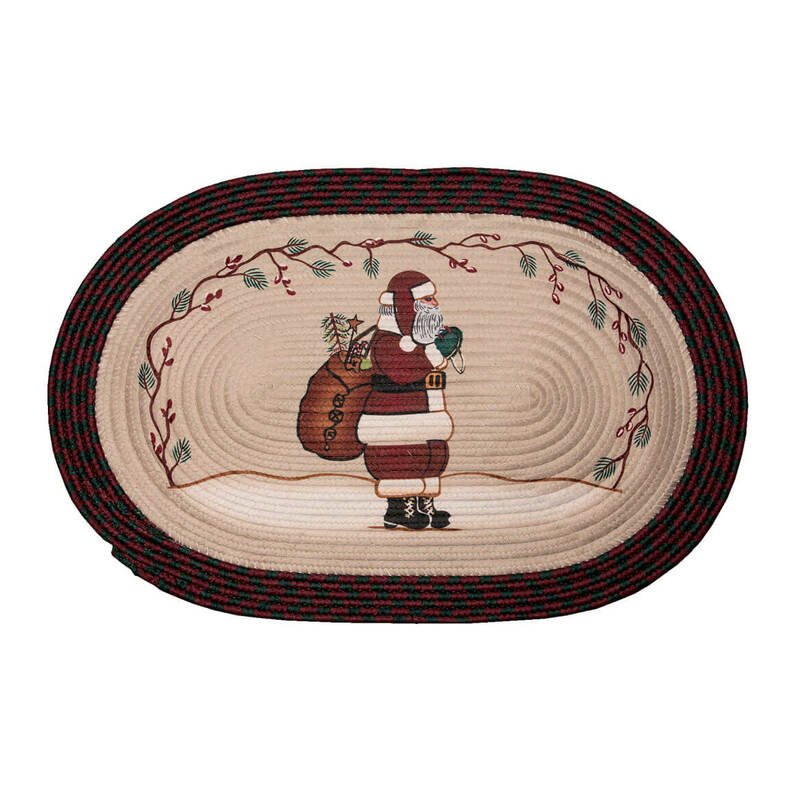 Cute rug with Santa design. 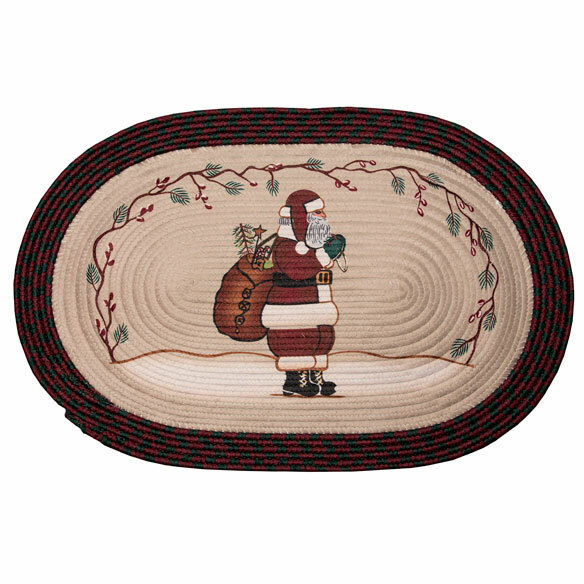 Very thin, not at all like typical braided rugs, but cute for Christmas nonetheless. The Santa design is adorable. The red color is a deep maroon rather than a typical "Christmas red." That's what I was looking for, so to me, it was an advantage. 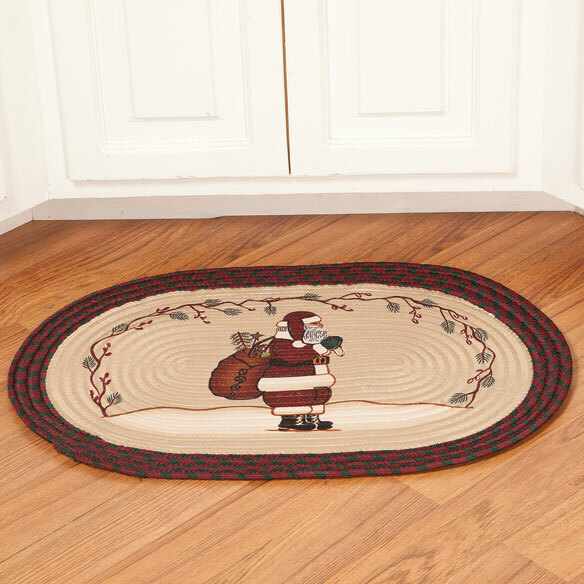 Although there is no special no-slip backing, the rug is mostly non-slip. (However, it has moved an inch or two on the floor, so I cannot say that it's completely non-slip.) I have it on the vinyl floor of a powder room, and it brightens up the room for the holidays. I would purchase again.